Parenting teenagers is one of the most challenging tasks because of the physical, emotional and hormonal changes these children experience as they move towards adolescence. Not only are teenagers considerably harder to monitor, they can take to outside influences quite strongly and be very stubborn in their approach. One of the major problems parents face with teenagers is drinking, which can severely affect their development and harm their health. The first step towards dealing with teenage alcohol abuse is identifying the factors which lead to teenage drinking. The media has become one of the strongest influencing powers of this age and has a strong grasp on today’s youth. Unfortunately, it is common for movies and music to depict drinking in a stylistic manner and as something fun to do – which in turn leads teenagers to try it out. The ESRB rates most movies and music according to content and you should monitor the kind of media your teenager consumes. It is also recommended that you intimate your teenagers with the dangers and harmful effects of drinking and drug use beforehand. Another major reason behind teenagers resorting to drinking is depression. Emotional issues at this age can be quite overwhelming, especially given how teenagers are not emotionally mature and are also experiencing hormonal changes. Mood swings and disorders are also common among teenagers and parents should keep an eye out for any signs that indicate emotional trouble. Parents serve as role models for children, especially teenagers, who are more observant and aware. If the atmosphere at home is conducive to drinking or taking up other bad habits, teenagers are more likely to indulge in such activities. For instance, if parents at home regularly drink, the children consider it something acceptable and normal, and easily give in. On the other hand, if the atmosphere at home is negative or if the parents are negligent towards the needs of their children, they become more receptive to outside influences and are likely to take up drinking or drug use. If your teenager has been consuming alcohol and drinking regularly with friends etc, his/her body slowly builds up tolerance, which means the amount of alcohol intake increases with time. 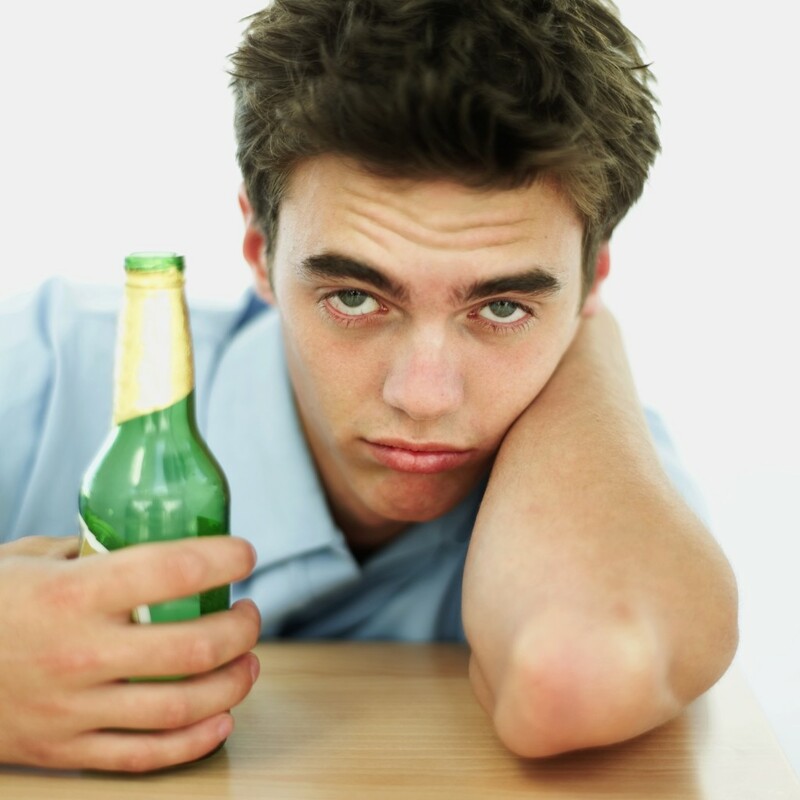 If you pay no attention to the signs and symptoms of drinking problems you might well find out at a stage when your teenager is addicted to alcohol and it becomes a regular part of his/her life. If this is the case, you should immediately seek professional help and counseling.